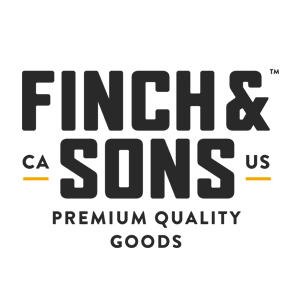 Finch & Sons a premium, handcrafted cannabis company. We’re a group of family and close friends who wanted to provide high quality cannabis products and change the negative stigma associated with cannabis use. Quality is incredibly important to us — and that’s why we spend the extra time, effort and expense to make sure we get it right, every time. We hold ourselves to the highest standards. We take the time to handcraft our products, because we believe things are worth doing right. We rigorously test every batch for purity, potency and flavor, because you deserve a consistent, reliable product. Finch & Sons products are for conscientious adults, whether you seek relief for a medical issue, or just want to relax at the end of the day. We want to build a community of like-minded people with discerning tastes, and we want to give back to that community. We are a fast growing company and therefore great potential for career progression. We want you to join our family. We are actively seeking an enthusiastic and persistent sales and marketing representative to take charge of product sales in either Northern or Southern California. The Sales Representative will have the opportunity to sell and promote company products within a defined geographic territory. This person will help develop sales and marketing strategies and build new accounts and relationships in an effort to meet a sales quota based on company sales goals and to directly increase sales revenue of the company. You will be reporting directly to the founders of the company. Our current team is small, which means there is a great potential for career progression and have a real impact in a growing company. The person should be agile and their responsibility may evolve as the business grows. • Results oriented — goal driven. • Able to relate to different personality styles. • Responsible and accountable for personal results. • Capable of handling multiple tasks simultaneously. • Works successfully without requiring close supervision. The position is for a full time position. It starts with a two-month commision-only trial period. After the trial period, the position will become full-time and compensation will be a mix of base, sale commision, and bonus pay. If interested, please send your resume to info@finchandsons.com and we will contact you for an interview.